Please, join us on Thursday, December 28th at 12:30 pm, for our Book & Bite Club. This month, we'll be discussing Cakewalk by New York Times bestselling author Rita Mae Brown . Cakewalk is a novel set in 1920 in a small town. The Mason Dixon line, consisting of the Southern half of Maryland and Northern part of Pennsylvania. The main characters (Hunsenmeir’s sisters) of this novel were inspired by Brown's sister and mother. The sisters involve themselves in dancing, drinking, and the list goes on. To read more about their involvement and other circle of friends, read the book with us and join our book club! We have copies of the book for check-out at the Circulation desk. Food and refreshments will be provided! We look forward to seeing you! 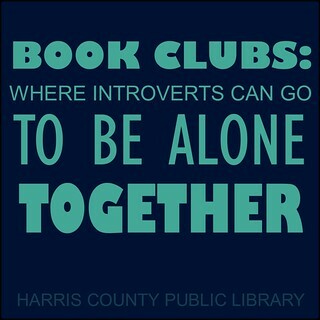 For more information, please contact Suzie at 281-391-3509 or email at kt@hcpl.net .